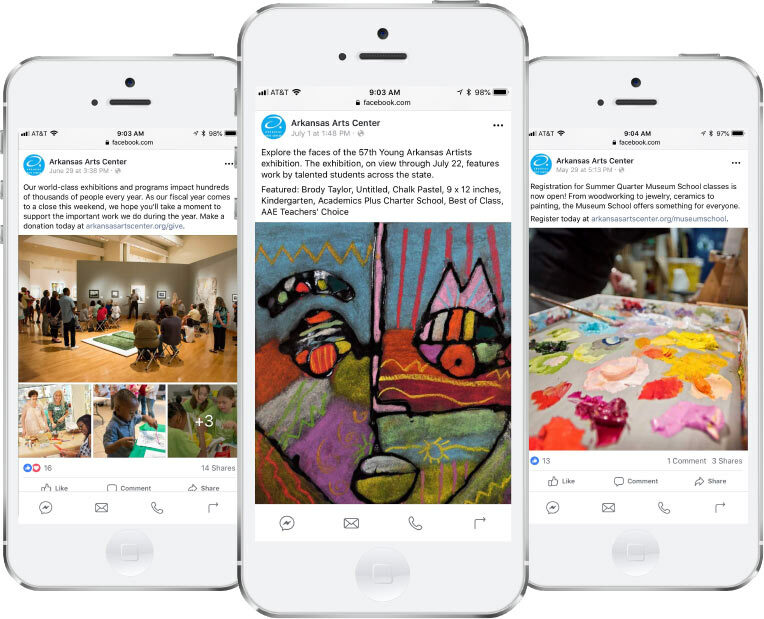 The Arkansas Arts Center brought in Stone Ward to develop a comprehensive communications strategy across all their brand channels in the museum. With a limited budget, we recommended moving dollars from paid media and established a strategy for earned and owned media to create awareness and uplift the brand. 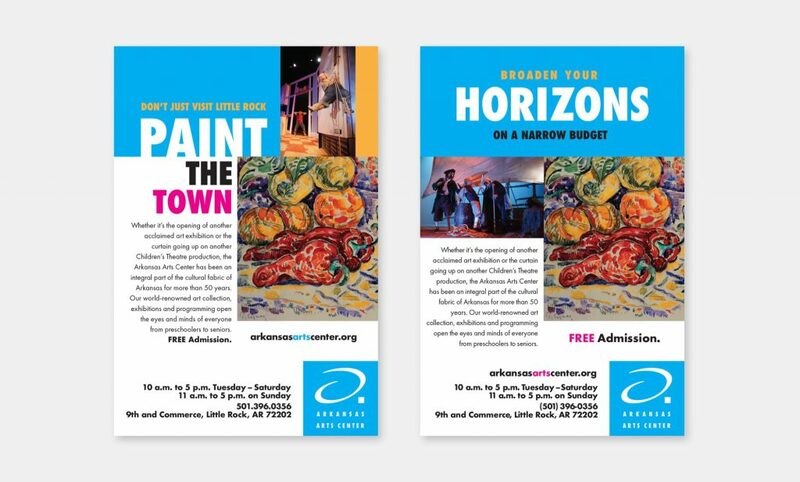 Our creative team revitalized the look and feel of the AAC brand by developing a new color palette and brand voice, and executed it across all channels. 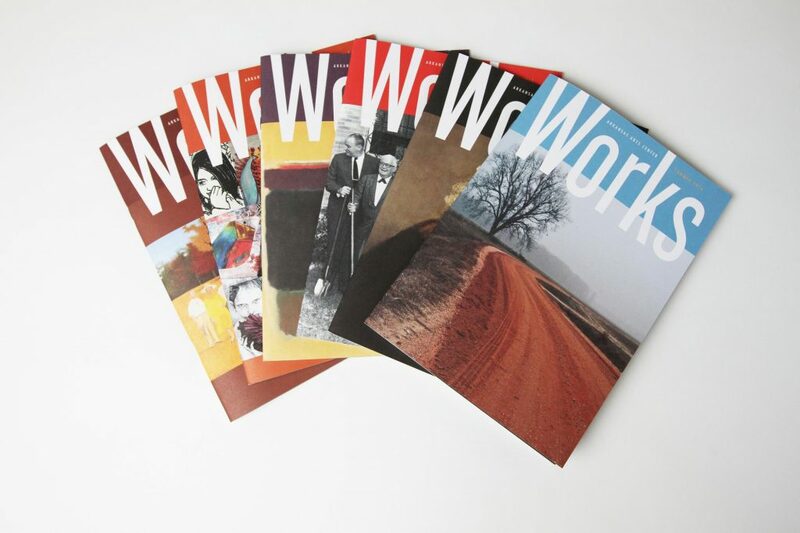 Reformatted the member newsletter to become a quarterly arts journal known as Works . 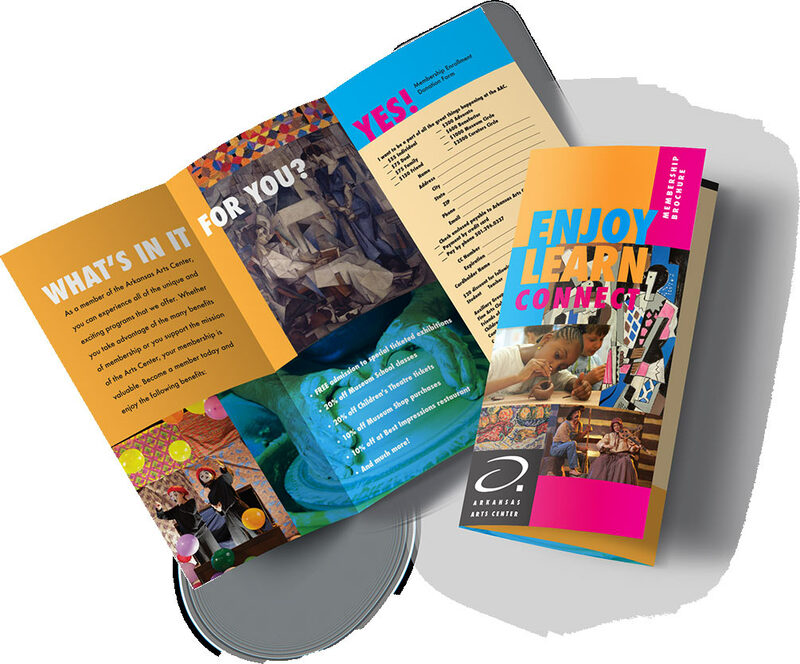 Integrating PR and social media allowed us to deliver a consistent message and communicate specifically to various audiences. 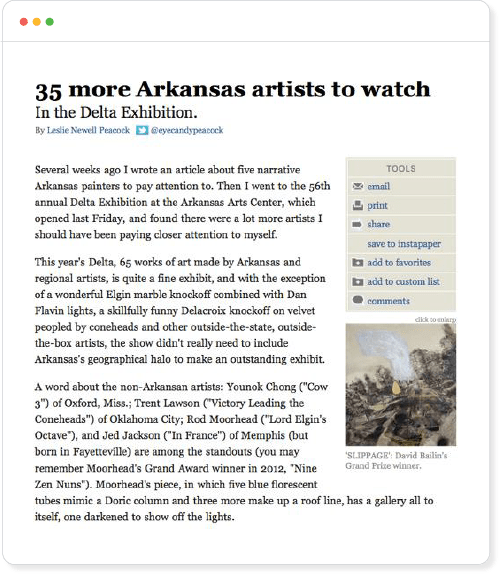 Based on programs and events, we developed a yearlong editorial calendar that served as a guide for all written content.